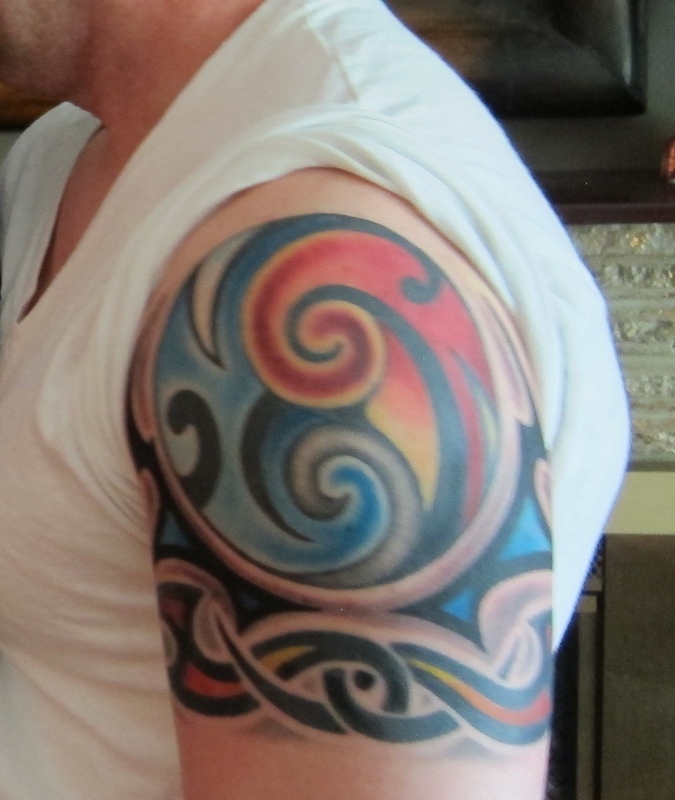 I finally got the finishing touches on my tattoo yesterday, and it is done. Just like my tattoo that I got in 1997, I have definitely changed but one thing that hasn't is how much I love the lovely Mrs. Shife. 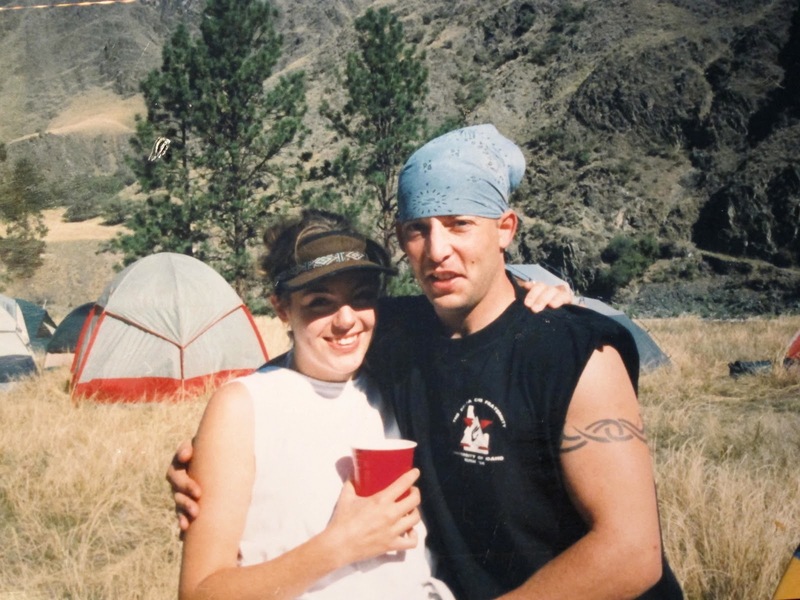 This is a picture of us on my fraternity's rafting trip, and it was that night that I told her that I loved her for the first time. The rest they say is history, and after 16 years I am glad to have shared so much with her. Whoa! Lots of color! Beautiful! Thanks Ms. Moon. I love it. Really glad it turned out so well. I like it too, Matt. And I like that you love Mrs Shife so much. In this strange world we live in it is great to hear that some people know how to love. i think i see a tribute to your testicles in the bottom left corner.